Motor Coach Industries (MCI), a subsidiary of New Flyer Industries Inc., announced the delivery of five 2016 MCI J4500 coaches to Premier Transportation. The delivery marks Premier’s fast-paced foray into the large Dallas-Fort Worth group transportation market. 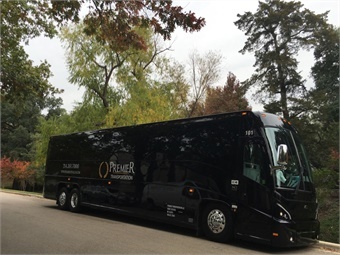 Premier’s MCI J4500 coaches arrived in sleek black to match the company’s brand of providing comfortable and client-oriented transportation service that is safe and reliable. Two of the five coaches are equipped with a wheelchair lifts and also feature plush leather seating and safety belts for 56 passengers, hardwood floors, individual 110-volt charging stations, eight 15-inch LCD wide-screen HD monitors with satellite DIRECT TV, music connectivity and Wi-Fi capabilities. The coach comes equipped with a Cummins engine for optimal fuel economy and near zero emissions. Another advantage for Premier’s operation is its close proximity to the MCI Service Center in Dallas, where MCI has an extensive aftermarket parts warehouse and MCI-trained technicians on hand to provide maintenance and repairs. Additionally, MCI announced that Brian Dewsnup has been named VP/GM, MCI Aftermarket. Dewsnup, previously the VP, business development, of New Flyer of America Inc., succeeds Wolfgang Winzer, who is retiring after four years at MCI. 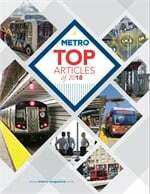 Dewsnup was part of the New Flyer team that completed the MCI acquisition and was previously the VP/GM, operations, of North American Bus Industries Inc., which the Company purchased in June 2013. Dewsnup will continue to report to President/CEO of New Flyer and MCI Paul Soubry. 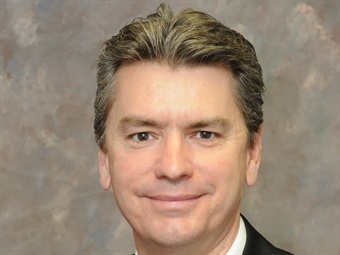 In his new role, Dewsnup will lead the Louisville, Ky.-based parts distribution warehouse, field technical support and training center, and six MCI Service Centers located in the U.S. and Canada.